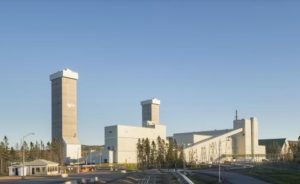 NEW BRUNSWICK – The world’s largest fertilizer supplier, Nutrien, has announced the permanent closure of its New Brunswick potash facility near Sussex. The mine and plant have been on care and maintenance since early 2016. Nutrien says it will focus on increasing potash production in Saskatchewan where operating costs are lower and no capital needs to be invested. The company will take a US$1.8 billion non-cash impairment in Q3 2018. Nutrien was created earlier this year by the merger of Potash Corp. of Saskatchewan and Agrium. In Saskatchewan it operates the Allan, Cory, Lanigan, Patience Lake, Rocanville, and Vanscoy potash mines. It is also a leading supplier of nitrogen- and phosphate-based fertilizers.